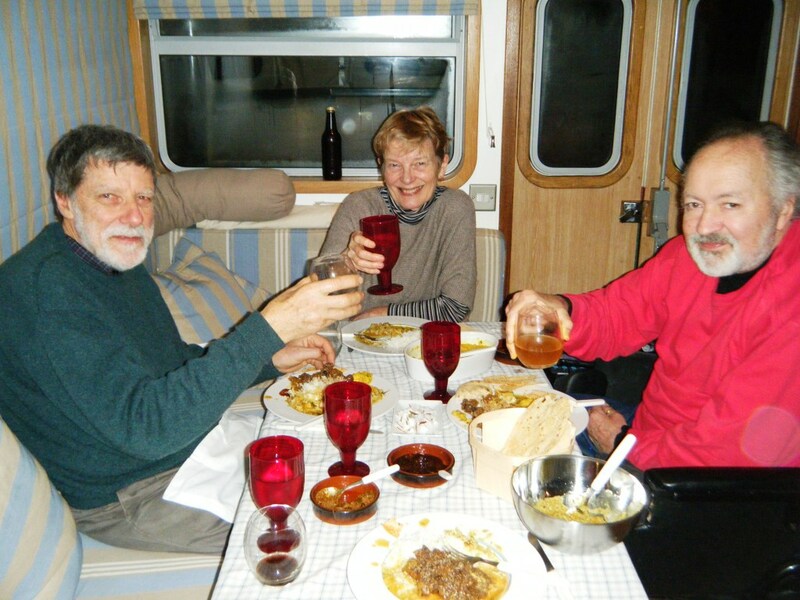 This entry was posted in Waterway life and tagged Endellion barge, Paris, Recipes, Sri Lankan curry, Travel. Bookmark the permalink. Paris is an amazing city to live in, winter or summer. We shall be there next September, in the spring we have planned to go to Lyon. The Chat Lune sleeps in a shed in Zelzate, a mere 20 km from our winter quarters. Marleen and I love spicy Asian food, we’ll try Steward’s recipes. Spring is there, I am sure that the Jardin des Plantes is already full of flowers. Hello Guy and Marleen, it’s lovely to have your message and we hope you enjoy Stewart’s recipe. We are in fact in Cornwall in England at present and missing the Paris spring as it is so much colder here. We hope to be back in Paris in a few weeks and will walk to the Jardin des Plantes to see how its flowering! Good luck and best wishes to you and Chat Lune .. oh, and the naughty Black & Toby! Wow your stories are filled with so much zest for life. Love cooking curries myself – thanks for curry base recipe. Curried white fish coming up! Great to be reminded of the Lake Bathurst shoot too by way of you’re trip to your brothers!